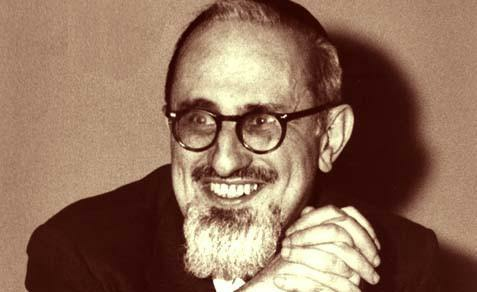 Rabbi Joseph Baer Soloveitchik s.z.l. Rav Joseph Baer Soloveitchik s.z.l. (1903-1993 C.E.) was one of the most respected American Orthodox Rabbis, both a learned Talmudist and a modern Jewish philosopher. With accomplishments in both Halachah and secular studies at the highest level, he was a unique personality among all the Torah Sages in the world. He was a descendent of the Lithuanian-Polish Jewish Soloveitchik Rabbinic dynasty and was born in Poland, into a family for whom the study of Torah was central. Rabbi Chaim Soloveitchik (1853-1918 C.E. 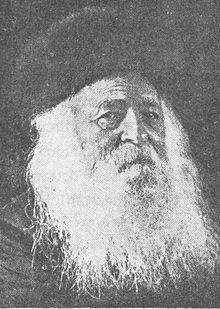 ), who was a teacher at the world famous Yeshiva (Talmud Academy) of Volozhin was his grandfather and Rabbi Yosef Dov Soloveitchik (1820-1892 C.E. ), the author of the Rabbinic and Talmudic work Beith HaLevi, was his great-grandfather and namesake. His great-great-grandfather was Rabbi Naftali Zvi Yehuda Berlin (1816-1893 C.E. ), also known as the “Netziv”. 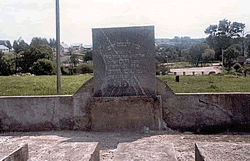 The connection between the Soloveitchik and Berlin families came about through the marriage of a granddaughter of the “Netziv” (Rabbi Naftali Zvi Yehuda Berlin) to Rabbi Chaim Soloveitchik. 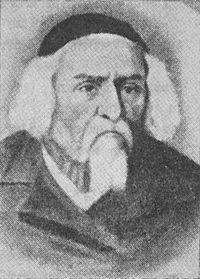 The Soloveitchiks were Rabbis in the city of Brisk, a famous Jewish Kehillah (community) on the border of Russia and Belarus. 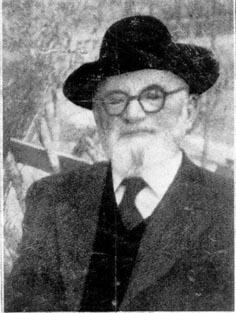 Rav Joseph Baer Soloveitchik´s father, Rabbi Moshe Soloveichik (1879-1941 C.E. ), preceded him as Rosh Yeshiva, head and dean of the Rabbinic Seminary or RIETS, the Rabbi Isaac Elchanan Rabbinic Theological Seminary, at Yeshiva University in New York, U.S.A.
At the RIETS also I finished my Rabbinic Studies and received my, Semichah (Rabbinic ordination), personally signed by my Rebbe (Yiddish for Rabbi) and teacher, Rav Joseph Baer Soloveitchik s.z.l. I had the privilege to be present when he signed my Semichah certificate, with a hand already trembling with age in his home in Boston. I was along the last ones for whom he signed the Semichah before the illness struck from which he unfortunately did not recover. Rav Joseph Baer Soloveitchik adopted their method of learning and taught Talmud to his students in the same manner. He received a Ph.D. in philosophy from the University of Berlin. After that, around 1930, he settled in Boston, U.S.A. 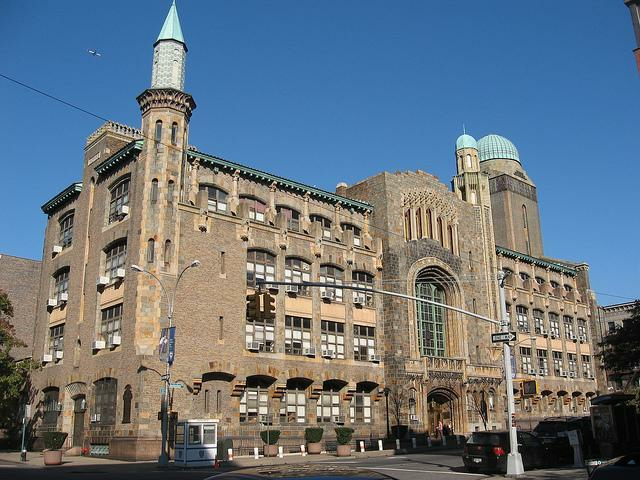 There he became Chief Rabbi and in New York he taught Shiurim (Talmud and Torah lessons) every week to senior students, besides giving classes in philosophy to graduating students. Rav J.B. Soloveitchik was accepted as the pre-eminent leader of the politically aware, Zionist Modern-Orthodox Judaism. Out of respect many asked his advice and blessing on certain issues (for example Prime Minister David Ben-Gurion asked his advise on the question of “who is a Jew”). He was offered the position of Chief Rabbi of Israel, but he calmly and consistently refused this offer. Despite his open and ardent support for the modern State of Israel, he only visited Israel once, in 1935, before the establishment of the State. According to his disciples the reason was that if he were to have visited again, he would not have had the heart to return to the U.S.A. from Israel. He led, counselled and ordained about 2000 Rabbis during more than half a century, during which time also I had the privilege of being his student and Talmid (student of the Talmud). Boston remained his place of residence until his passing. 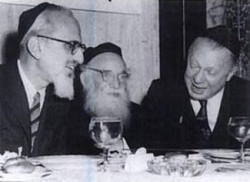 Middle: Rabbi Dr. J.B. Soloveitchik (1903-1993 C.E. 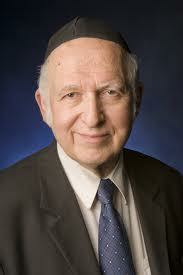 ), Rosh Yeshiva and lecturer at the RIETS of Yeshiva University, New York, U.S.A. 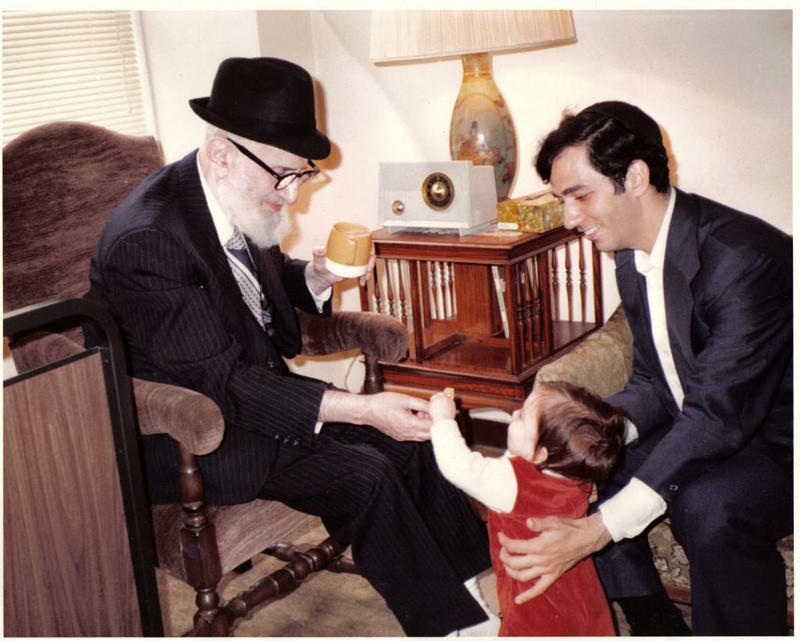 Right: Rabbi Ahron Soloveitchik (1917-2001 C.E. ), successor to his brother as Rosh Yeshiva and lecturer at the RIETS of Yeshiva University, New York, U.S.A.
Left: Prof. Dr. 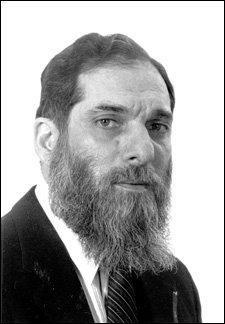 Rabbi Isidor Twersky (1930-1997 C.E. ), son-in-law of Rabbi J.B. Soloveitchik. He was Professor of Jewish Studies at Harvard University near Boston, U.S.A.
Left: Rabbi Naftali Zvi Yehuda Berlin (1816-1893 C.E. 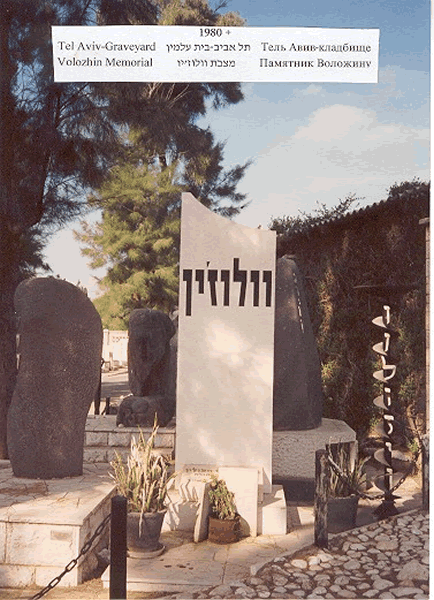 ), known as the “Netziv” (acronym of the first letters of his name). 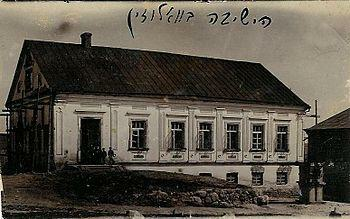 Last Rosh Yeshiva of Volozhin, till its forced closure by Tsarist Russia in 1892 C.E. He was the great-great grandfather of Rav Joseph Baer Soloveitchik s.z.l. 2. Early years, upbringing and education. 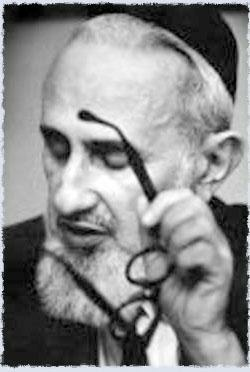 Rav J.B. Soloveitchik grew up in a traditional Talmud Torah (Cheider) manner. He studied at an important Yeshiva and respected private tutors taught him. In 1922 he finished his Gymnasium. He graduated in political sciences at the University of Warsaw, Poland, in 1924, leaving for Berlin, Germany in 1926. In Berlin he enrolled at the Friedrich Wilhelm University. He continued his studies of philosophical, economical and Hebrew subjects, combining them with a thorough study of the Talmud. Parallel to this he also attended the famous Orthodox Rabbinic Seminary “Hildesheimer” in Berlin. In 1932 he obtained a doctorate in philosophy at Berlin University. Besides English, Hebrew and Yiddish, Rabbi Dr. J.B. Soloveitchik knew Latin, Greek, Polish and German. In 1931 he married Tonya Lewitt (1904-1967 C.E. ), who was also educated at a university. The fact that she did not wear a Sheitel (head covering, wig) in public was considered a provocation by many Ultra-Orthodox Rabbis. During his Berlin years Rav Soloveitchik was a faithful disciple of Rabbi Hayim Heller (1880-1960 C.E. ), who had established an institute in Berlin for Modern Jewish Studies from an Orthodox perspective. 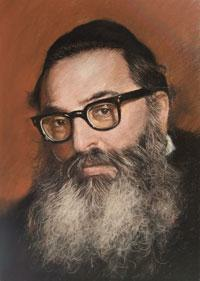 He also developed a friendship with Rabbi Yitzchok Hutner (1906-1980 C.E. 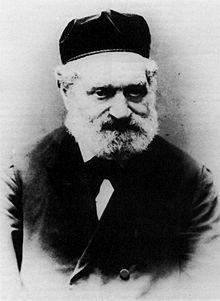 ), later head of the Yeshiva Rabbi Chaim Berlin in Brooklyn, U.S.A. 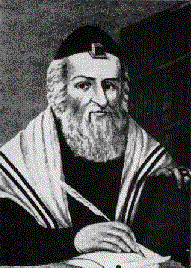 Rabbi Yitzchok Hutner was known for his Talmudic knowledge and the teachings of the “Maharal of Prague” (1520-1609 C.E. ), characterised by deep Kabbalistic roots. Our family used to have a small hotel and Rabbi Yitzchok Hutner stayed at our hotel. I used to bring him ice cubes and many times he used to test me on my knowledge. He would praise me in front of my father Shmuel Yosef Daum s.z.l. (1924-2003 C.E.) to please him. This is a method I also adopted during my years of teaching at schools and it proved very successful. 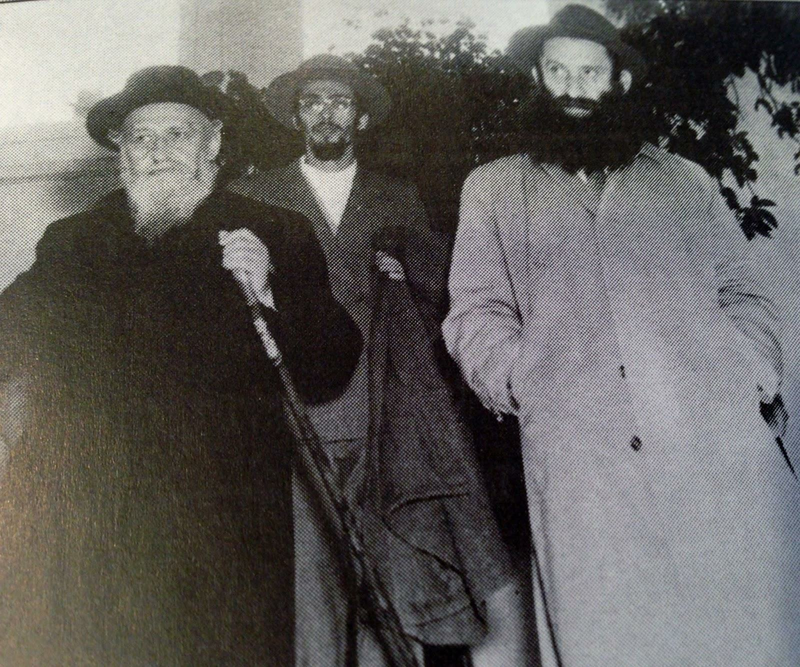 Rav Soloveitchik and Rav Menachem M. Schneerson, s.z.l. 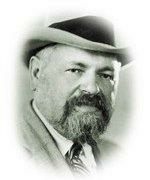 the last Lubavicher Rebbe (1902-1994 C.E. ), first got to know each other while both were studying in Berlin. 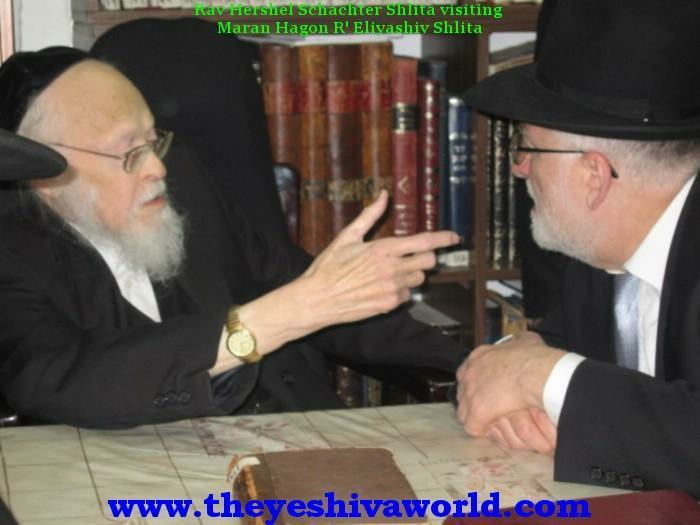 They met several times in the house of Rav Hayim Heller. A lifelong and close friendship developed. Rav Soloveitchik became a great admirer of the last Lubavicher Rebbe. Rav Soloveitchik showed great respect for the Lubavicher Rebbe during this meeting and their friendship was visible to all those present. I myself was also fortunate to be a witness to this inspiring occasion. 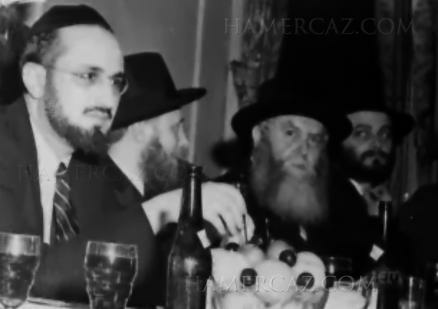 From left to right: Rav J.B. Soloveitchik in his younger years at a meeting with the Rebbe of Lubavich Rav Menachem M. Schneerson z.t.l. (third from the left). In the middle is the father- in-law of last Lubavicher Rebbe, Rav Yitzchak Yosef Schneerson s.z.l. Rav J.B. Soloveitchik would call himself “the Soloveitchik of Boston”, where he settled during the early 1930s. 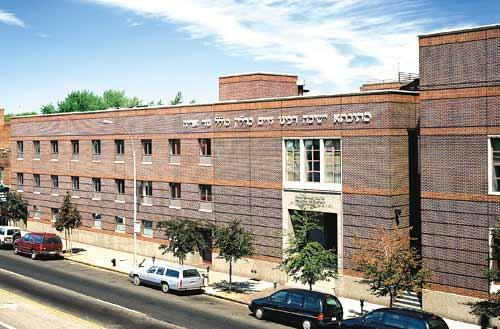 There he established the Maimonides school in 1937, the first Hebrew school in Boston. He also introduced some novelties, like teaching boys and girls in the same class, but sitting separately. He was involved in all the religious affairs of Boston. He was known as the Kashrut authority of Boston, but he also accepted invitations to teach Jewish and religious philosophy at prestigious New England colleges and universities (Yale and Harvard). His son-in-law, Prof. Dr. 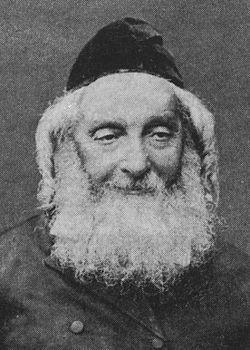 Rabbi Isidor Twersky, was an internationally recognised specialist in the manuscripts of Maimonides and was professor in Jewish history and literature at Harvard University. His other son-in-law, Prof. Dr. 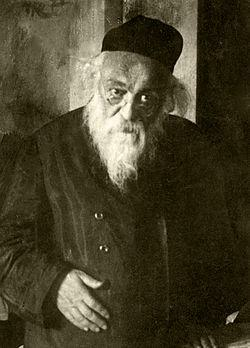 Rabbi Aharon Lichtenstein (1933 C.E.) is dean and Rosh Yeshiva at the National Religious Yeshiva Har Etzion in Gush Etzion, Israel. 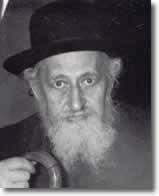 Rav J.B. Soloveitchik´s son, Dr. Chaim Soloveitchik (1937 C.E.) is lecturer in Jewish Medieval History at the Hebrew University in Yerushalayim. 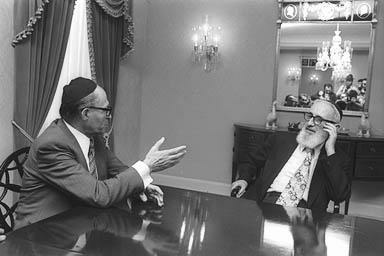 Prime Minister Menachem Begin of the State of Israel (who was born in Brisk), together with Rav J.B. Soloveitchik in the latter’s house in Boston. Rav J.B. Soloveitchik succeeded his father, Rabbi Moshe Soloveichik, as head of the RIETS of Yeshiva University in 1941. He was an advocate of study by Modern-Orthodox women, but only at special colleges for women. For this reason he introduced intensive Torah-study (including Talmud) at Stern College for Women at Yeshiva University. This was revolutionary at that time. The Rav completely supported a very active role for the Jewish Modern-Orthodox woman, on a par with men. Rav Soloveitchik travelled to New York every week for two and a half days, during which time he gave 3 long Shiurim on Talmud. He started his Shiurim in 1952 in the famous synagogue Moriah in Manhatten. He gave these Shiurim on the Parashat HaShavua (the weekly Torah portion) during 30 years. Aside from these Shiurim, the Yahrzeit Shiurim, in memory of his late father, Rav Moshe Soloveichik, were very special Shiurim, attended by hundreds of followers and broadcast on the radio. An average Shiur lasted 3 hours or more, without any interval. The Rav did not have any notes in front of him during his Shiurim. The Rav did not write his Torah-Novelle (Chidoshim) himself, but the Shiurim were taped by his Talmidim and later published in book form. The study of Torah was the central focus of his life and of his teaching. His public historic Shiurim in memory of his father as well as his public Shiurim between Rosh HaShana and Yom Kippur, which were organised by the Rabbinical Council of America (the umbrella organisation of the Modern- Orthodox Rabbinate in America) as Kinus T´Shuva (gatherings to prepare for Yom Kippur by deepening and analysing the concept of Teshuvah), were attended by thousands of students from all sections within the Torah community. In this way he was one of the spiritual leaders of the previous generation. He never spoke negatively about non-Torah-faithful Jews and was always respectful and polite towards those with different opinions. Still, he was very determined and flexible in protecting and advocating the Torah and Rabbinical Traditions. An example of this is his ruling that it is not permitted to pray in a synagogue which is in contravention of halachic norms, even if this is a consequence of not of keeping the Mitzvah of Tekiath Shofar (the blowing of the Shofar), even if the Rabbi of this synagogue is ordained by Orthodox Rabbis. This concerns especially the controversy with Reform and Conservative Judaism, where the separation between men and women is not implemented according to Halachah. The ´Christianisation of the synagogue´ is combated in all its sharpness and clarity by this ruling. This can also be seen in his opinion that dialogue with other religions can be necessary, but that it may never lead to concessions on theological issues. His disciples and followers were educated with this attitude in their contacts with non-Jewish clerics and this has remained the practise to this day. In other words, there is not much to discuss on religious theological issues. What can be discussed is support for the State of Israel, racism and anti-Semitism. His teaching and Shiurim are responsible for the educational and academic choices of literally thousands of men and women in the contemporary religious Jewish community and they remain a lasting monument to his spiritual mentorship. His Jewish religious horizon was extensive and he possessed an encyclopaedic knowledge on all manner of subjects. He was a counsellor, a guide, a mentor and a role model, both in Talmudic and religious leadership, for tens of thousands of Jews across the globe. He inspired many young men and women to become spiritual leaders and educators in Jewish communities around the whole world. They, in turn, influenced many Jews to remain connected to Torah-faithful Judaism. 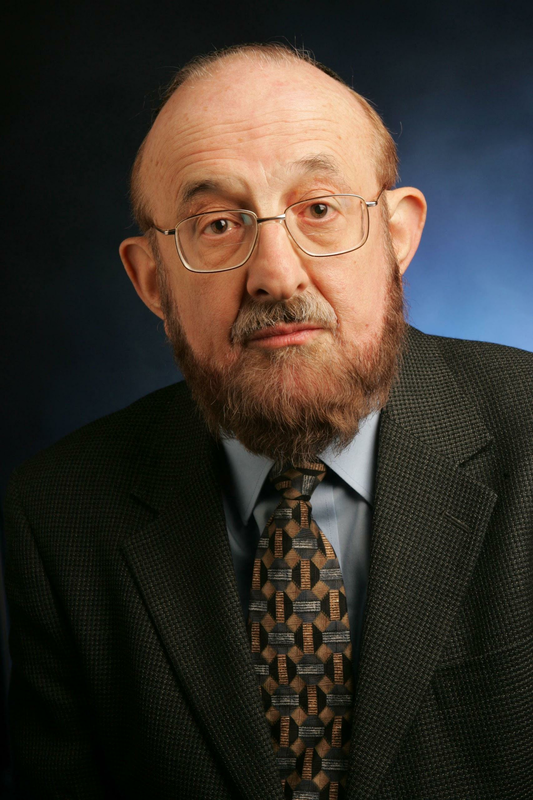 During his leadership of Yeshiva University Rav J.B. Soloveitchik refined the system of combining religious Torah studies with the secular schooling of the Western European civilization. 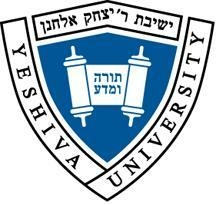 The system became known as the “Torah U´Maddah” synthesis – Torah and science, which is the motto of Yeshiva University. In his public lectures, writings and his political decisions for the Modern-Orthodox world, he strengthened the intellectual and ideological framework of Modern-Orthodoxy. 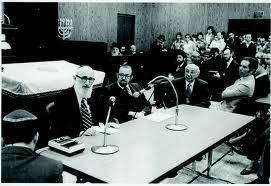 Rav J.B. Soloveitchik had a very positive point of view concerning the State of Israel. In his main non-Talumdic publications he changed the landscape of Jewish theology. Rav Soloveitchik emphasises the normative and intellectual centrality of Halachah. His works include ‘The Lonely Man of Faith’ (his most well known work, written in English), on issues like the willingness to stand alone and the halachic human being, and ‘The Halachic Mind’, less well known but no less important, also written in English, on Jewish Tradition and modern thought, written in 1944 and only published 40 years later, without any changes. In this book Rav. J.B. Soloveitchik describes the first two chapters of Bereishit/Genesis as a contrast in the nature of man. In humans he identifies two sorts of humanity: Adam I, majestic man, with the creative capacities of man to be master over his environment, and Adam II or convenental man, who surrenders himself in submission to the Master. Rav J.B. Soloveitchik describes how the religious human integrates these two aspects. In the first chapter Adam I is made, together with Chava/Eve, and they obtain the mandate to be master over the cosmos and over the transformation of the world into a domain of their power and sovereignty. Adam I is the majestic man who approaches the world and relationships, and also the Divine, in functional and pragmatic terms. Made in the image of G’d, Adam I fulfils this apparently secular mandate by conquering the universe and dictating his knowledge, technology and cultural institutions onto the world. In chapter two of Bereishit/Genesis, Adam II is a lonely man of faith, who brings a redemptive interpretation to the meaning of live. 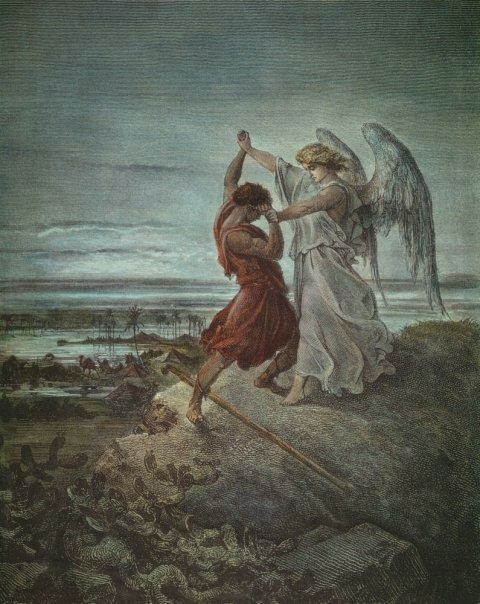 Adam II, with the words ‘It is not good for man to be alone’ (Bereshit/Genesis 2:18) and by his sacrifice (of a metaphorical rib), gains companionship and thereby the alleviation of his existential loneliness. This however requires the involvement of the Divine. In this work Rav J.B. Soloveitchik emphasises the centrality of Halachah to Jewish thought. In his theological vision there is a constant focus on Halachah, the fulfilment of and the study of Divine Law. He presents Halachah as the basis for religious practise and for theological Jewish thought. Jewish piety is therefore not suited to serve as a basis for the known models of Western religiosity. As a consequence of the study of Torah and of keeping the commandments, Halachic Man develops a coherent attitude to intellectual activity, ascetics, death, esotericism, mysticism, creativity and repentance. Rav J.B. Soloveitchik further emphasises the need for the self-creation of the individual as a Divine task of each human being. This is more of a philosophical masterpiece, and very concise. It contains an analysis of the correlation between science and philosophy down the ages. In the fourth part Rav Soloveitchik introduces the consequences of the analysis on Halachah, establishing a new view of the world. 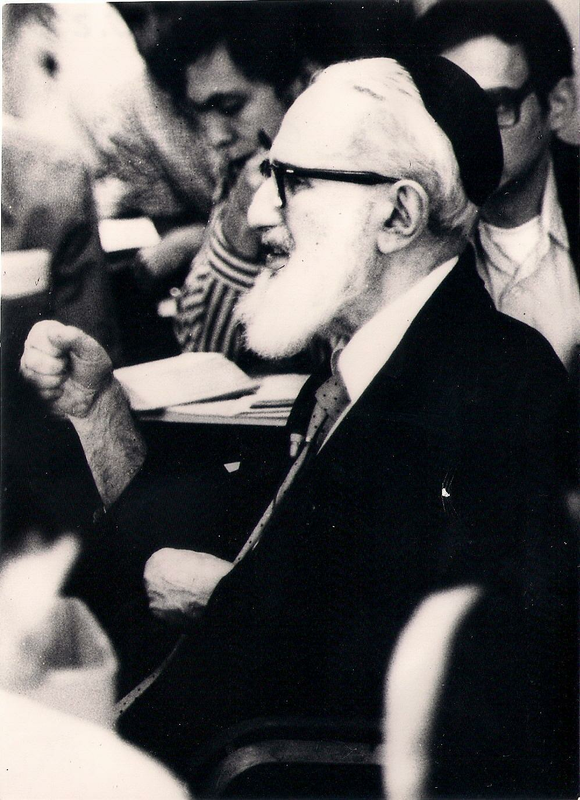 Rav J.B. Soloveitchik s.z.l. was criticised from two opposing sides. The religious left viewed him as too much connected to the old world of Europe. The religious right saw him as a man who wanted to lower the religious standard with the aim of modernising and Americanising it. Despite these criticisms Rav J.B. Soloveitchik remained steadfast in his opinions and points of view during the years of his leadership. He departed from the traditional ideas of Brisker Zionism. Rav J.B. Soloveitchik was proud of his connections to the Soloveitchik Rabbinic dynasty. He talked lovingly about his uncles. He was respected by his family members and namesakes as a genius in Talmudic education. They lived in Yerushalayim where they established their own branch of the anti-Zionist Brisk Yeshiva. However, the Brisker Rov, HaGaon HaRav Yitzchak Ze´ev Soloveitchik s.z.l., and his followers still saw him as their cousin, who departed from the family Chardi-tradition. 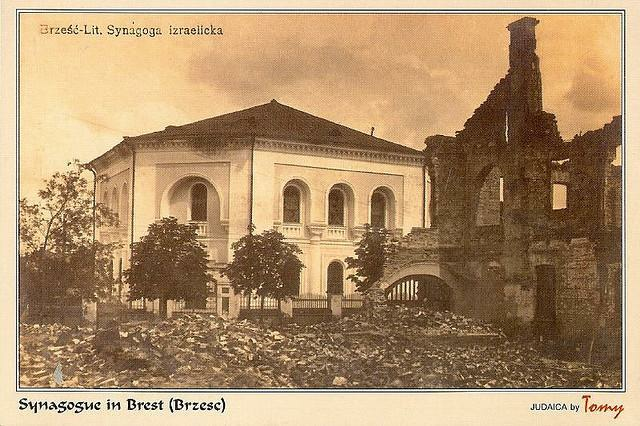 At the same time, recent research published by Rabbi Shlomo Pick, has revealed that his father, Rabbi Moshe Soloveichik, maintained an intensive relationship with the religious Zionist (Mizrachi) circles in Warsaw. 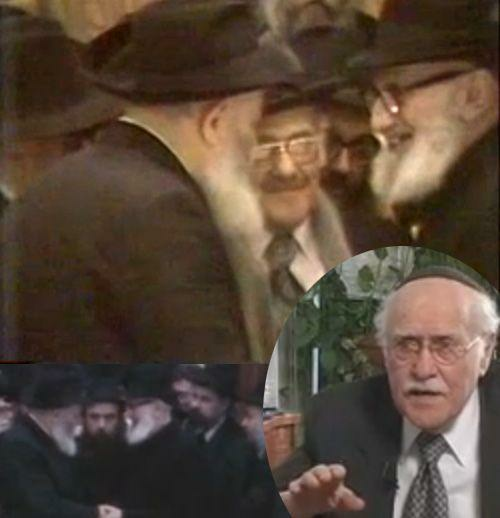 Within the Modern-Orthodox movement different views are prevalent on the legacy of Rav Soloveitchik. Many of Rav J.B. Soloveitchik ‘s students became leaders in the Modern-Orthodox community. These students mostly have very diverse views on the world. Most of the students of Rav J.B. Soloveitchik represent a centrist approach within Modern-Orthodoxy. Other students identify with the teachings of the Charedi world. Since his passing in 1993 interpretations of the teachings of Rav J.B. Soloveitchik have become an issue of continual discussion. Some Charedi Jews and some from within Modern-Orthodoxy think that Jews are only meant to maintain an attentive Jewish lifestyle and study the language, history and science of the surrounding society, so that the religious Jew can earn a living in secular society. This is however not the view of the right wing of Modern-Orthodoxy. Rav J.B. Soloveitchik does not approve of Jews studying secular philosophy, music, art, literature and ethics, unless this is done with the aim of acquiring an income. Then he even encourages this study. Many Ultra-Orthodox Sages however consider this insight in the philosophy of Rav J.B. Soloveitchik to be misguided. Rav J.B. Soloveitchik declared that, although he was of the opinion that he had successfully transmitted the facts and laws of Judaism to his students, he did not have the feeling that this was a living, authentic Jewish life. He stated that many of his students acted like children and experienced religion like children. This is the reason why they accepted all sorts of fanaticism and superstition. Sometimes they are even willing to do things that are on the brink of the immoral. 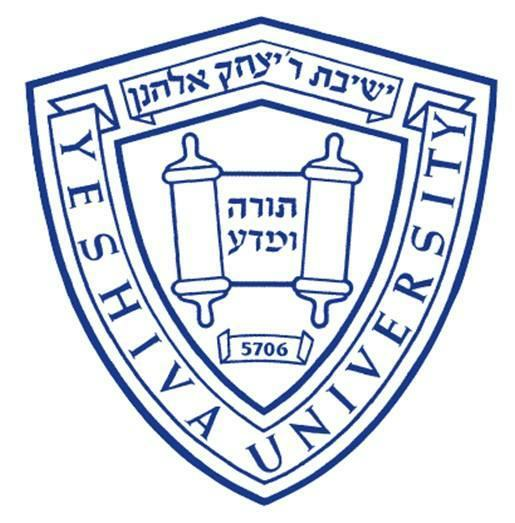 Rabbi Norman Lamm, former President/chairman and Rosh Yeshiva of Yeshiva University, insisted in his relations with the guardians of Yeshiva University, on guarding against revisionism, against wrong interpretations of the Rav on the world of Torah and the world of science. He stated that the Rav needed to be accepted as a very complicated, profound personality. Rav J.B. Soloveitchik did not approve of certain practises of Reform and Conservative Judaism. His opinion was that wherever differences existed with Orthodoxy, the non-Orthodox were in the wrong. He compared both Reform and Conservative Judaism with the sectarian successions from Judaism, like the Sadducees and Karaites. One of the most important differences between Orthodoxy and Reform/Conservative concerns the Mechitzah (the separation/demarcation barrier between men and women in the synagogue). Rav J.B. Soloveitchik´s judgement was that it is forbidden to pray in a synagogue without a separation barrier between men and women. He also condemned the Conservative practise to go to synagogue on Shabbat with the car. Besides this, he also rejected the idea of musical accompaniment in Synagogue on Shabbat and Yamim Tovim (Festivals and feast days) and the use of a microphone during the service on Shabbat and Yamim Tovim. He was of the opinion that both Reform and Conservative rabbis did not have a proper education in Halachah and Jewish theology and thus could not be considered Rabbis. Thus, he remained a lifelong critic of sectarian Judaism, like the Reform and Conservative movements. On the other hand he accorded non-Orthodox rabbis and Jews a certain place within the Jewish Nation. For this he developed the idea that Jews are bound to each other by two different Covenants. One Covenant is the Brit Yehudi, a Covenant of Destiny. This is the Covenant binding Jews to each other through their fulfilment of Halachah. The second Covenant is the Brit Goral, the Covenant of Fate. This is the wish and willingness to take part in a People chosen by G’d and to live as a Kingdom of Priests with a sacred mission. This also concerns the fact that all Jews share the same fate of persecution and oppression. Rav J.B. Soloveitchik judged that non-Orthodox Jews transgressed the Covenant of Destiny, but that they are still bound to Orthodox Jews in the Covenant of Fate. In 1954 he wrote an article in which he stated that participation with non-Orthodox Jews for political or social goals (for example combating anti-Semitism or for furthering the rights of the Stage of Israel) is not only allowed, but obligatory. The Charedi tradition however dissented. During the years 1950-1960 Rav J.B. Soloveitchik and other members of the Rabbinic Council of America negotiated in a private capacity with leaders of Conservative Judaism with the aim of setting up a shared Orthodox-Conservative Beth Din (religious court), particularly with a view to supervision of common norms on marriage and divorce. Only Orthodox Dayanim (religious judges) would judge cases and this was expected to be accepted by the Conservative movement. This project however failed. The reason for the failure was the pressure of right wing Orthodox Rabbis, who considered that cooperation with the Conservative movement was forbidden. Up till the 1950s all Jews were allowed to use the Mikvaot (the ritual baths mainly for Niddah and Giyur, i.e. for family purity and conversion). Orthodoxy however refused to grant non-Orthodox rabbis the use of the Mikvaot. Rav J.B. Soloveitchik was against this prohibition, but the current practise in all Jewish communities connected to Orthodoxy is to refuse sectarian Jewish groups like Conservative-Masorti or Reform-Liberal, the use of their Mikvah. Rav J.B. Soloveitchik wrote extensively on Teshuvah (repentance/atonement). He distinguishes between two aspects of the word Teshuvah. The first meaning is covering. Just as the ark of Noah was covered with a layer of peck, so that the rain could not enter the ark, so sins are covered. The second meaning is that of change, the transformation of the human being. The Talmud mentions several times that the non-Jewish human of a different faith, who converts to Judaism, can be likened to a newly born human. One of the Tractates of the Babylonian Talmud where this expression can be found, is linked to the question of whether a convert has fulfilled his obligation to bring posterity into the world, if he has already brought children into the world in his previous (non-Jewish) life. Yes, is the opinion of Rav Yochanan. Reish Lakish is of the opinion that he hasn’t, because these children are from the time before his conversion and a convert is like a newly born human. (Talmud Bavli, Yevamoth 62a). What was, is not reckoned with any more. This human is thus a new being and the previous person no longer exists. The emphasis is again on the present activities of the human. For it is a human who has converted, who becomes a new creature and acquires a new identity. 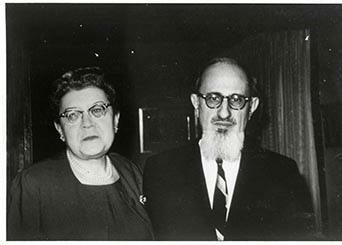 At the beginning of his career Rav J.B. Soloveitchik inclined towards traditional movements like Agudath Israel of America and Agudath Harabanim, the Union of Orthodox Rabbis of North-America. Later he distanced himself from these organisations and joined Mizrachi (religious Zionists of America) and became chairman of the centralistic Orthodox Rabbinic Council of America. Rav J.B. Soloveitchik ´s children are married to academics and Talmudists. His son, Rabbi Chaim, is a professor in Jewish History at Yeshiva University. His grandchildren are true to his legacy and occupy important scientific positions. 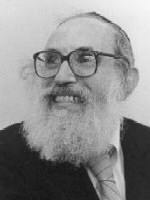 At a later age Rav J.B. Soloveitchik became the victim of the very serious disease Alzheimer. Despite the good care given by his family, he died on Chol HaMoed Pesach in 1993 C.E. at the age of 90. 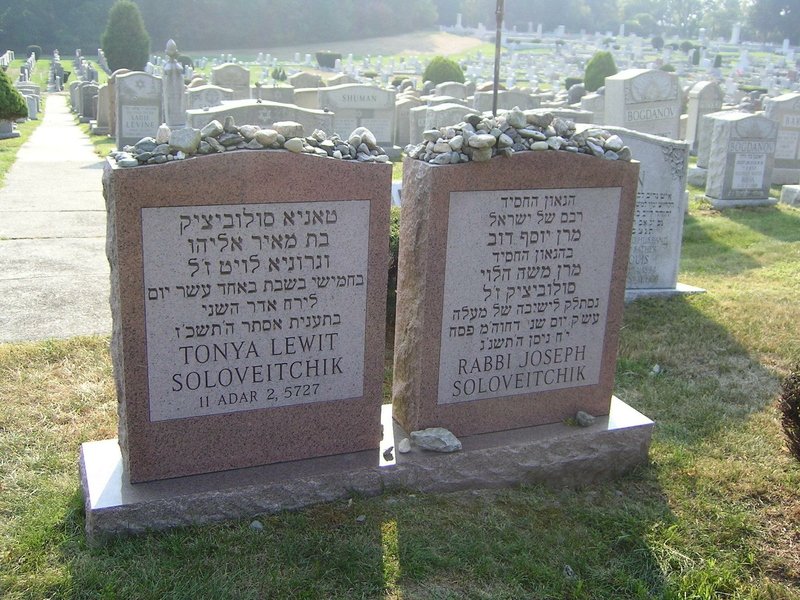 His grave is next to his beloved wife Tonya in Boston, Massachusetts, U.S.A.
Rav J.B. Soloveitchik was very much respected by his students. He was known to everyone as “The Rav” of Modern-Orthodoxy in the twentieth century. 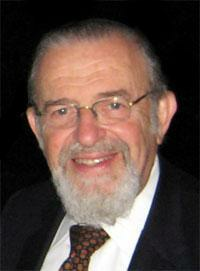 He often took innovative positions on education and political and social issues in the Orthodox Jewish world. His ordination of more than 2000 Orthodox Rabbis at Yeshiva University, during 40 years, testifies to his influence and effort, besides his determination. ‘’ Your name shall no longer be said to be Yaakov, but Yisrael, for you have become the commanding power before G-d and men, since you have prevailed’’.